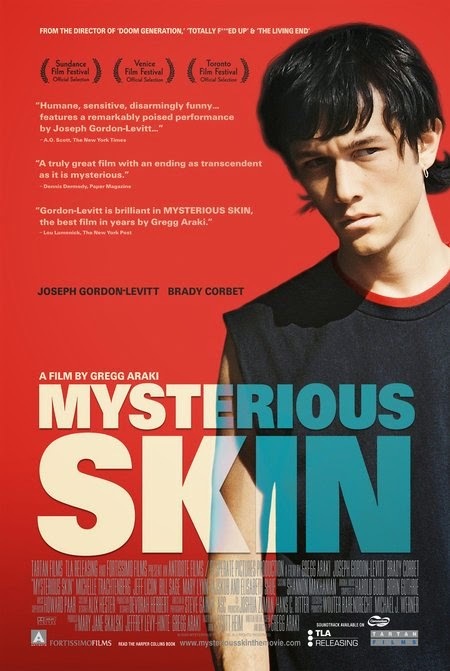 This is the film that showed that Joseph Gordon-Levitt has arrived as a serious and talented dramatic actor. A daring and explicit film that not only shed his child actor status but shows great potential for years to come. Directed by indie auteur Gregg Araki who always has something powerful and profound to say. Never afraid to go there. This is the story of two young boys who were sexually abused by their little league coach and the two different life paths it has taken them down. The years of repression and coping mechanisms is wearing them down as they get older. First we are introduced to Brian (Brady Corbet) who as an 8 year old blacked out for a period of time and woke up with a bloody nose. Even as he gets older he is still convinced he was abducted by aliens that night as he still get those bloody noses. After seeing a UFO program on television he seeks out a young woman who also believes she was abducted. Brian is an emotional wreck in a desperate search for answers. Neil (Gordon-Levitt) on the other hand is now about 18 or so and is a hustler, hanging out at parks and playgrounds selling his services to older men. Neil hides behind a cocky, devil may care attitude, but you know he is scarred and hurting inside. His best friend Wendy has been at his side from the beginning and is now going off to college in New York City. Tired of his old routine back home Neil also moves to NYC, which proves to be more that he bargained for as he tries to make money like he did back home. TV, who has problems of her own. This whole alien abduction fantasy that they share is just way to escape their crippling physical and emotional problems and to find other such people to confide in. Brian's emotional pressure cooker comes to a head with his own father who he blames for not being their for him. His mother is also in a deep state of denial about what could have happen to him. Also at about this point Neil has a run in with a brutally violent John that breaks him down physically as well as emotionally. Back home on Christmas Eve Brian finally meets up with Neil and the whole truth comes flooding out. It's obviously no secret that abuse at any age is life altering and the after affects last for years if not forever, but their is still hope at the end of the long dark tunnel. This film is brutally honest and shies away from nothing in its depiction of its ugliness and how it affects its victims. While at times hard to watch "Mysterious Skin"is definitely a film to see.